For solo momma’s like me, I always thought the challenge was to make ends meet. I always make sure that I have enough moolah stashed away somewhere so I can buy the stuff my boy needs. But nooo, the real challenge begins when we’re at the dining table. Right, moms? The real test happens when you’re trying to negotiate with a two-year old, who by the way, is at the “all I know is chicken” phase, and will eat just a slice of carrot! Believe me, I’ve worked in the banking industry for a few years and I thought I was a master at negotiation. My boy breaks my style all the time! I have gone from “this is good for your body” to “Santa will give you your favorite toy if you’ll eat this” angles and yet, I always end up feeding my boy with fried chicken. Yes, the proverbial fried treat that every toddler worships. In order to get your kids to eat veggies, you need a dash of creativity, a slice of patience and a whole lot of help from your kitchen tools! Here are five tips that just might help you out too! 1.Add a sprinkle of sugar – When I want to make Choi eat potatoes or carrots, what I do is I add a little sprinkle of brown sugar to his meal. Toddlers are known for their sweet tooth and one way to get them to eat their greens is to make it as sweet as possible. I’m just hoping that one day, he’ll outgrow the need for extra sugar, but for now, he’s eating veggies and that, for me, is enough. 2. Get Them Involved – To make it extra entertaining, what I do is I try to involve Choi in the food preparation as much as possible. Though he’s just two, he finds joy in little things. Once in a while, we take him to the market with us and I tell him the different colors of the veggies around. I give them names derived from his favorite Thomas and Friends characters and make him choose which ones he likes. 3.Cute Presentation– Make it as colorful and creative as you can. Serve them with broccoli and carrot sticks designed as a tree or a banana boat with beans to form its sail. Make them more engaged by adding sound effects when you serve them with veggies. This especially works for toddlers! Choi likes it when I imitate sounds of trains, birds and bees. 5. Chop Em’ and Mix Them With Soup – out of all the hacks I’ve perfected, I realized, chopping them real small and mixing them with soup will make it much easier to feed them with veggies. If there’s another food that Choi loves next to chicken, it is soup! So it kind of becomes a double whammy because not only does he eat veggies but he becomes full with healthy soup too! Of course, more than making my boy eat veggies; I also want to make sure that I use ingredients and materials that are safe and BPA-free. I am one of those Moms who check out the packaging before letting my son use anything. 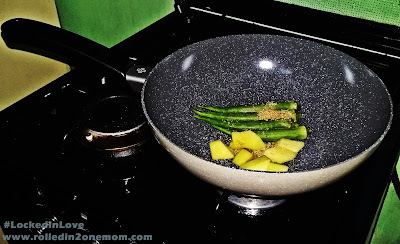 One of my most favorite kitchen partners is my ever reliable Lock and Lock Hard and Light Stone Cookware! 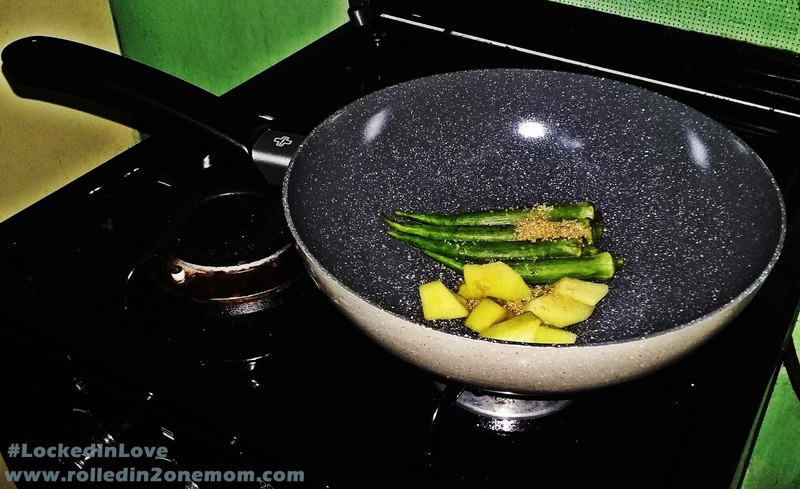 It’s safe to use and it absorbs heat so easily yet it manages to keep the essential vitamins in the veggies I cook. It looks so “sosyal” too! Hahaha...I love how it’s non-corrosive, nothing ever sticks to it so it’s so easy to clean. I got mine from Glorietta 4 but you can also find these awesome pans at Shangri-La Plaza Mall, Eastwood Mall, BF Homes, Alabang, Fisher Mall, Quezon Avenue, Fairview Terraces. 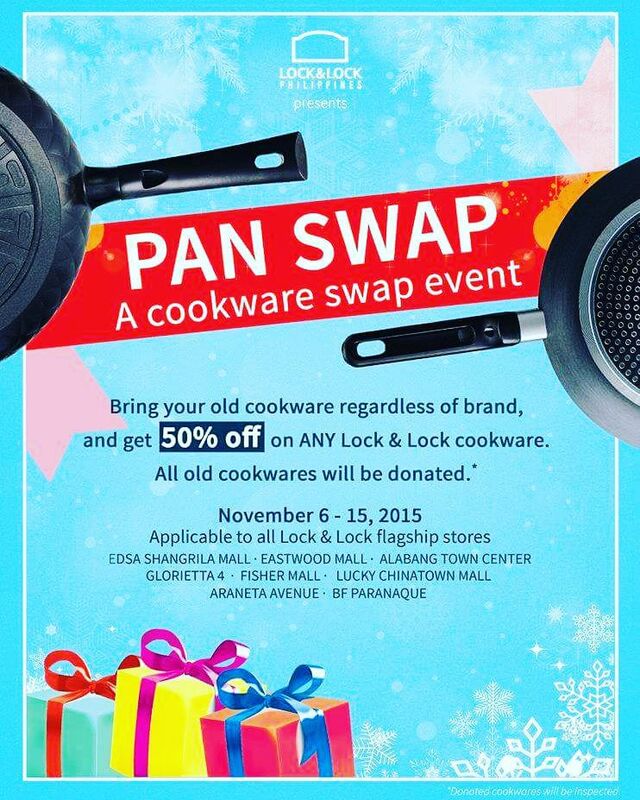 You can also find these pans in every leading department store nationwide! 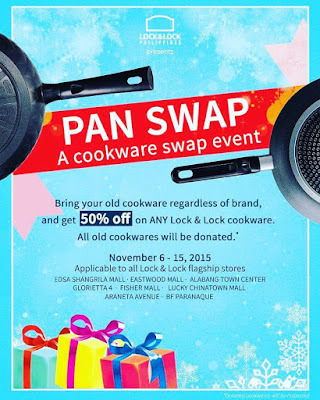 But here’s better news - if you wanna have the same safe products that I use in the kitchen, take advantage of Lock and Lock’s latest promo – bring any used cookware (any brand) and get 50% off on all Lock & Lock cookware items from November 6 to November 15 2015. Head on out to their stores now! As a Mom, our job is to raise happy and healthy human beings. We can achieve this by starting ‘em young on eating foods that are safe and good for their health. Reward them, encourage them and put a lid on it whenever you feel like nagging them to eat healthier. We mommas need to be more creative and patient – these are the keys to making your toddlers put healthy food inside their tiny mouths! Start now and believe me, they’ll thank you later! Great tips,its very helpful. 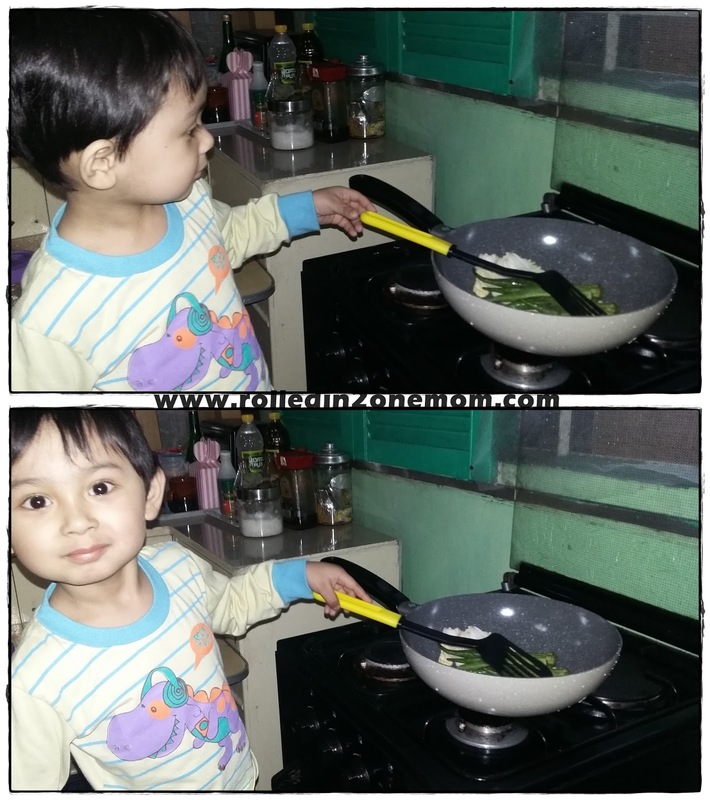 Though my zd loves veggies but its not guarantee for me and I need these tips for the better. Yay! Sayang nakalimutan ko 'to. I want to get new sets of pan. I'm lucky that my son loves eating vegetables. Nice tips mommy. 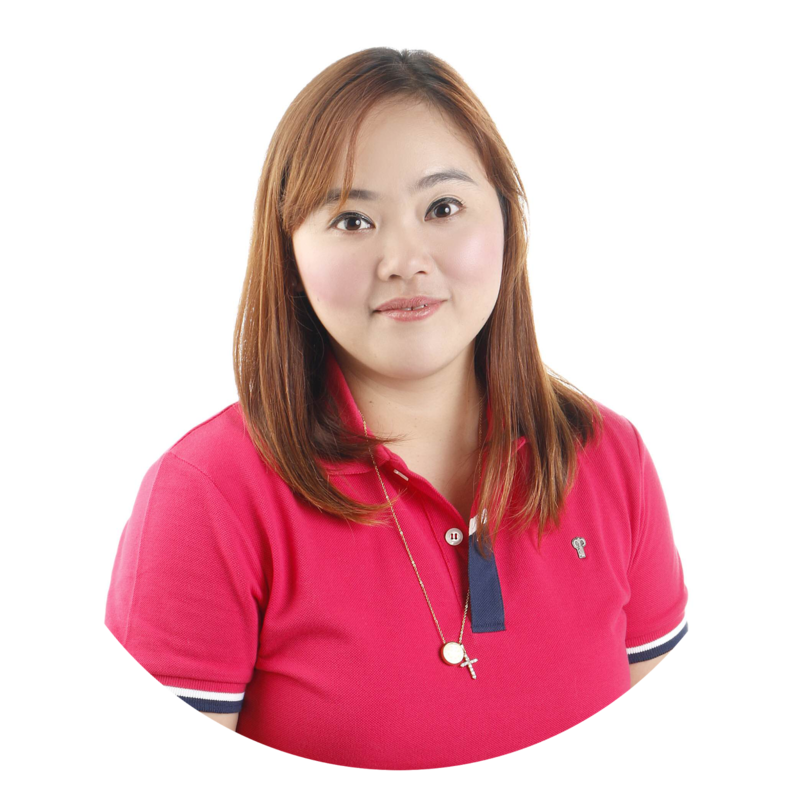 I salute fabulous and excellent solo moms like you, mommy! Keep your stories coming! Thanks for the tips mommy! I am worried by the time comes that feeding my little one gets a little challenging. Thats why as early as 10 months I wanted to start his foods with vegetables. Well sana hanggang lumaki siya mas gustuhin niya ang gulay. His cousins eat bacons almost everyday. This is very timely. I just had my 3 yr old successfully eat vegetable today. We told him he could have stronger and accurate punches on the left if he ate potatoes (what he ate first)...his dad catches the punches acting as if it was accurate. The cookware looks great. I want to have one like that in my kitchen. My kids only eat potatoes and squashed when mashed and mixed it with rice, other than that its gonna be a long negotiation like what you've said mommy.